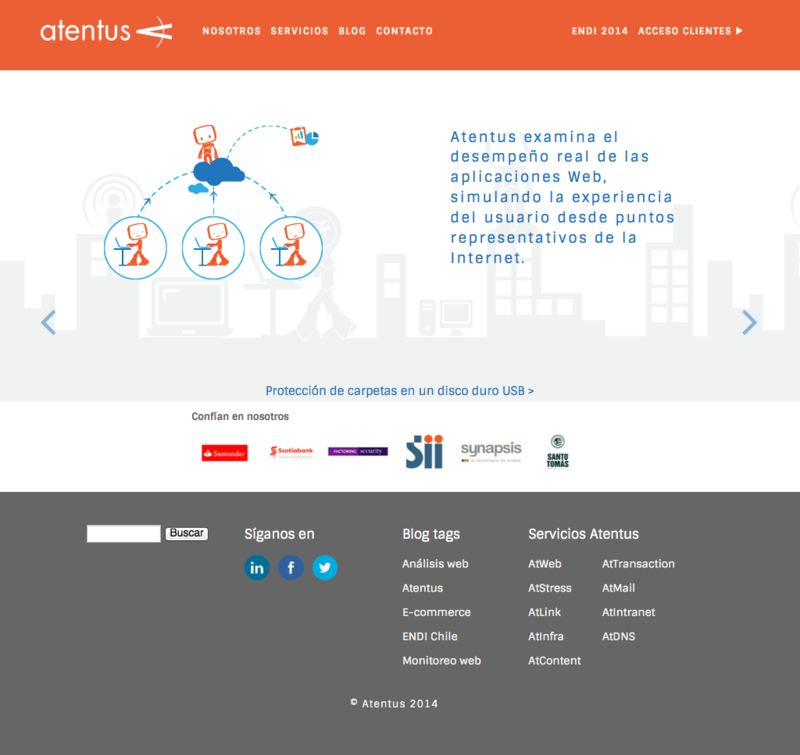 Atentus, an enterprise in web quality control and monitoring present in Chile, Argentina, Colombia, Peru and Uruguay, hired us for the migration of their corporate website from Wordpress to Drupal. 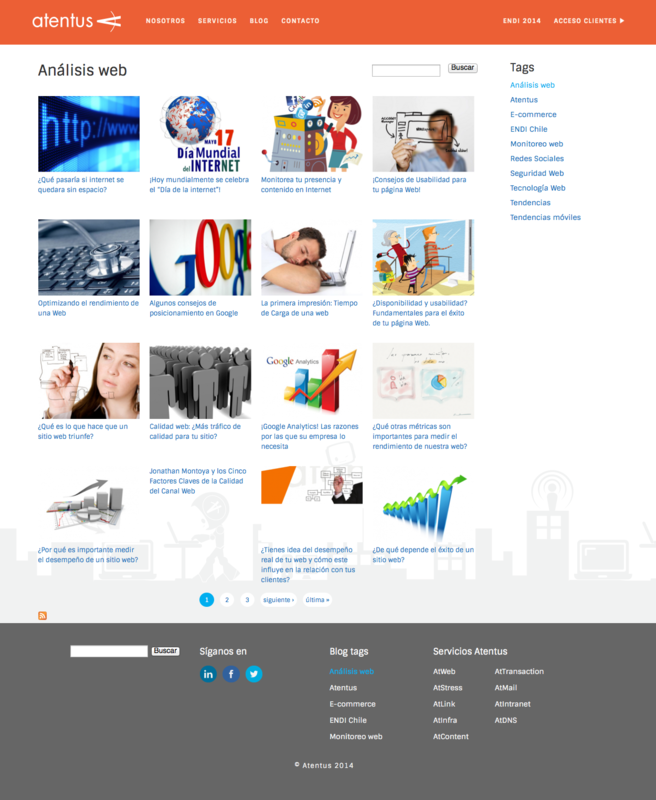 The migration and upgrade of the site considered the construction of the content with Drupal, transforming static content to dynamic sections. The dynamic sections allow you to easily add new services, customers and team members, achieving better usability for the administrative user. 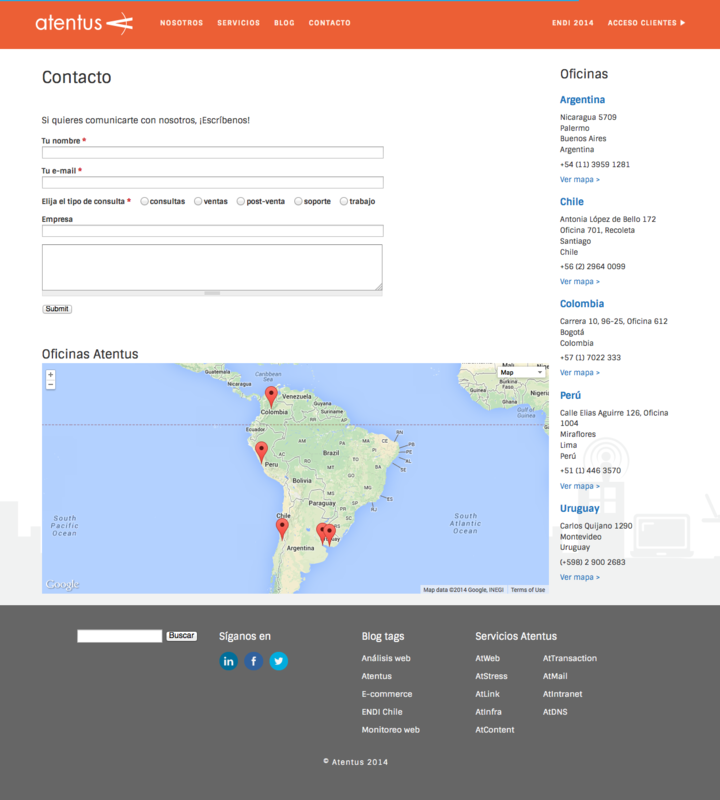 We also integrated social networking links and a taxonomy for the client section. 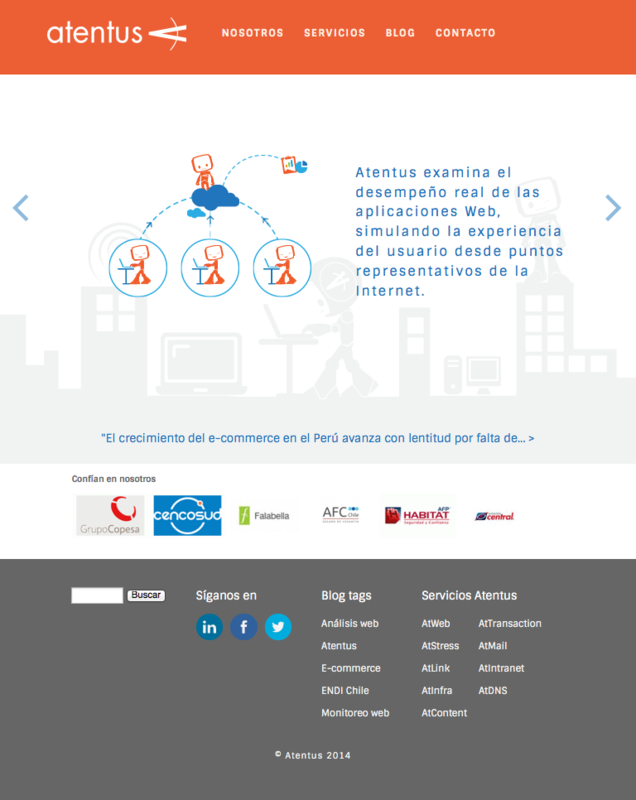 In 2014 the site contents were updated and we developed a new graphic interface based on responsive design to respond to the increasing usage of smartphone and tablets.